With Picture Polish blog fest over for another year, I wanted to share full swatches of the two shades I featured in my nail art. 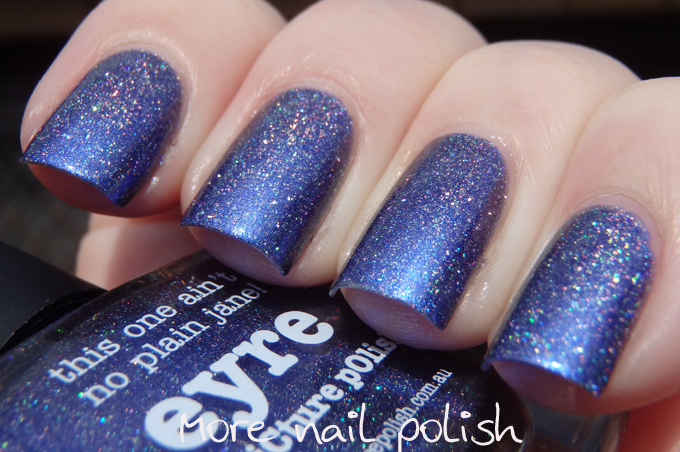 Plus my swatches of the other new release Eyre. 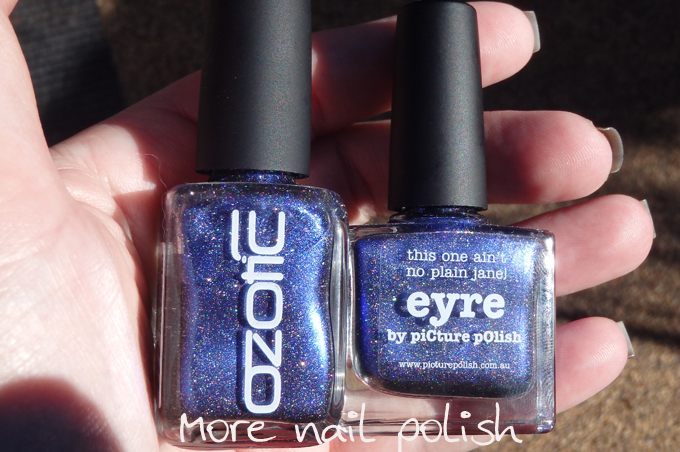 Oh, and some comparisons to the original Ozotic versions too. 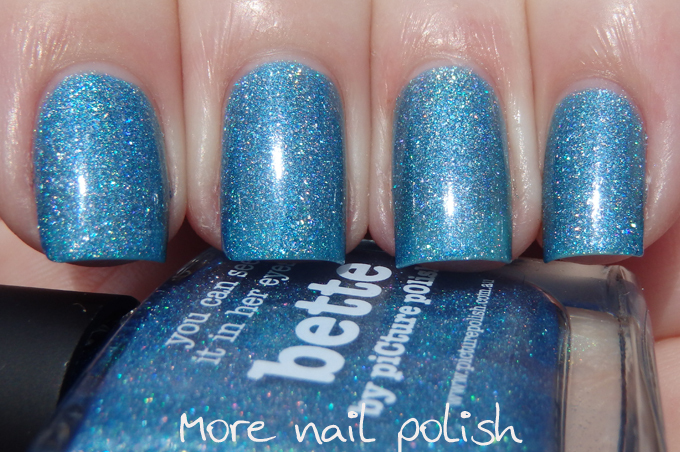 Bette - a medium blue with scattered holographic finish. A re-release of Ozotic 617. 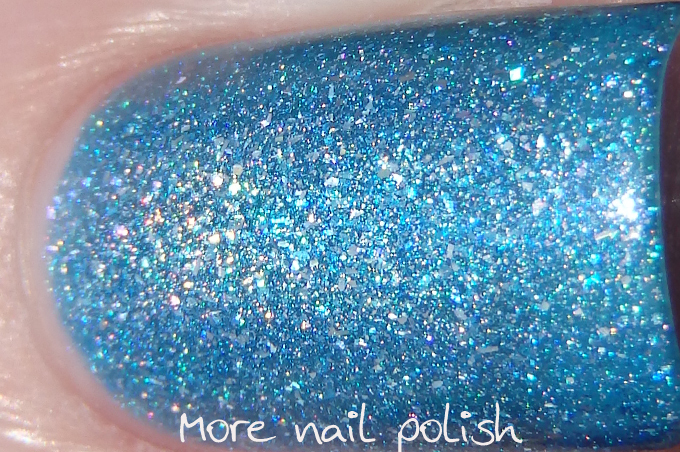 Nice formula, and builds to opacity at three coats. 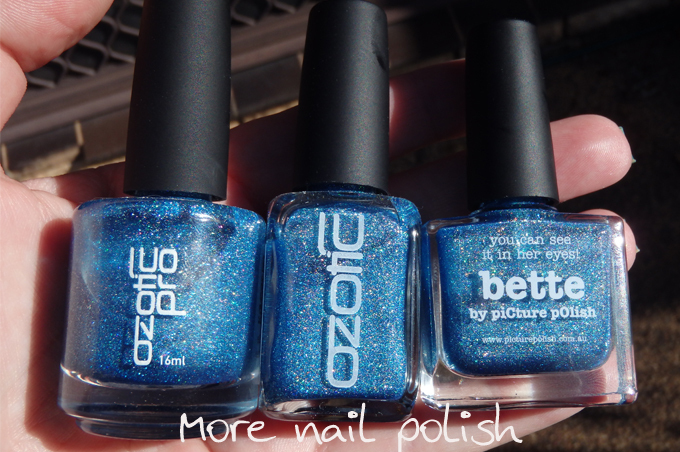 Comparison shots with Ozotic Pro in round bottle, next generation Ozotic in square bottle and Bette by Picture Polish. I'm confident to say these are all dupes. 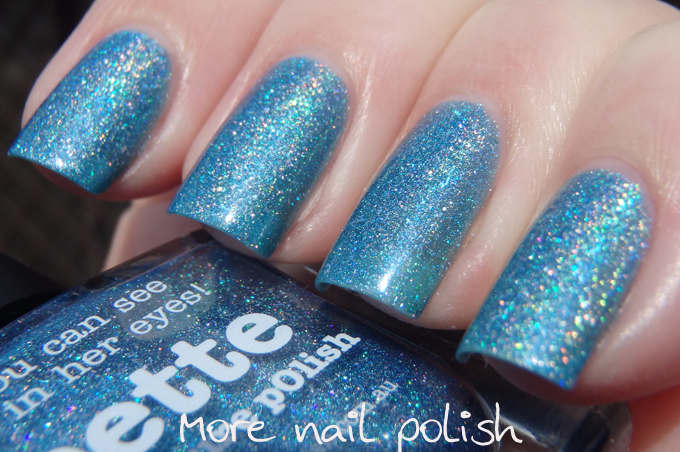 If you missed Ozotic 617, then Bette is your best bet. 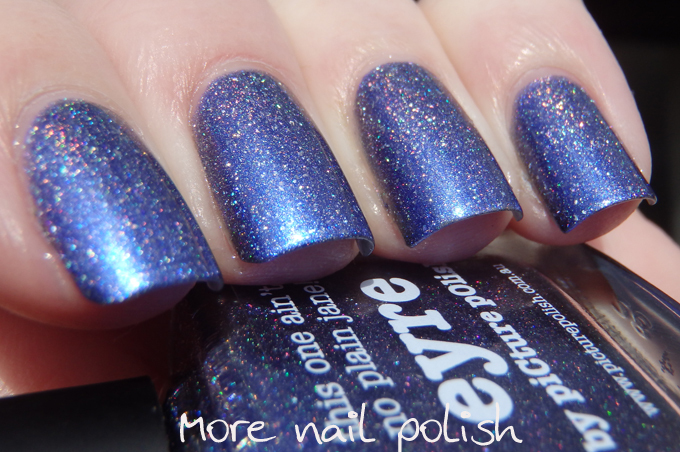 Eyre - a royal blue chrome finish with slight purple duochrome and plenty of scattered holo particles. 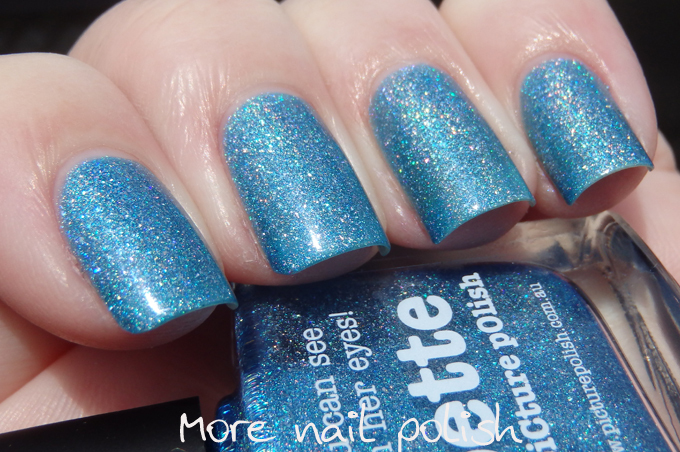 A re-release of Ozotic scatter chrome 913. This Ozotic was only ever released in the square bottles, so here are both bottles. 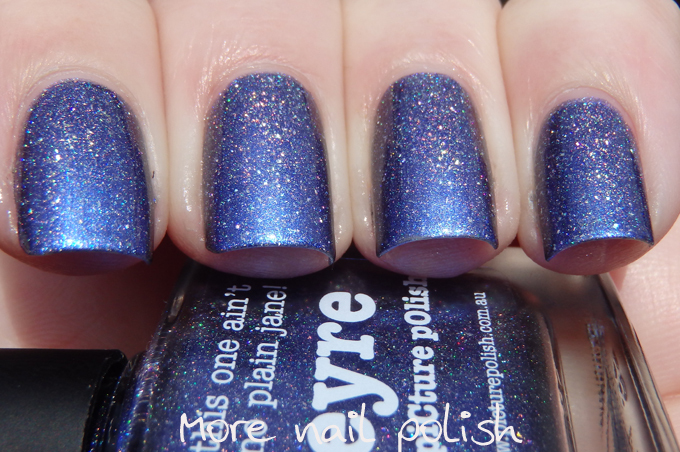 Once again, as described by Picture Polish, these are dupes/re-releases. 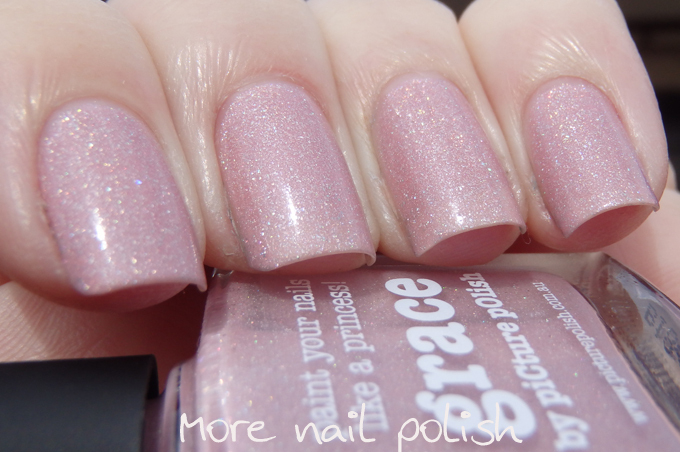 Grace - a very pale pink scattered holo. Opaque at three coats. 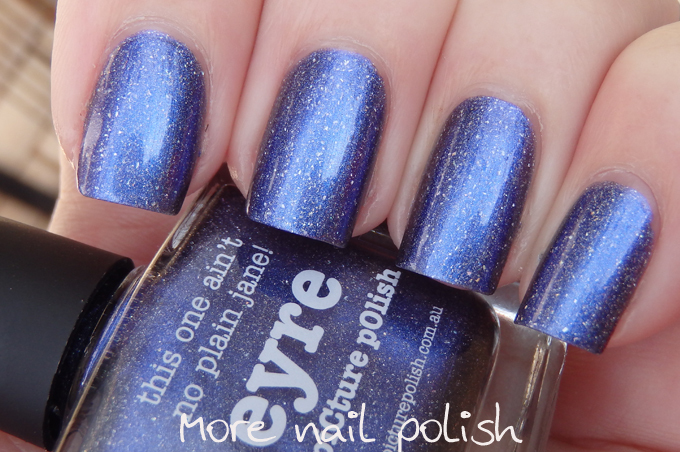 The particles seem finer in this polish compared to the previous two, but that might be more due to it's slightly crelly finish rather than jelly. 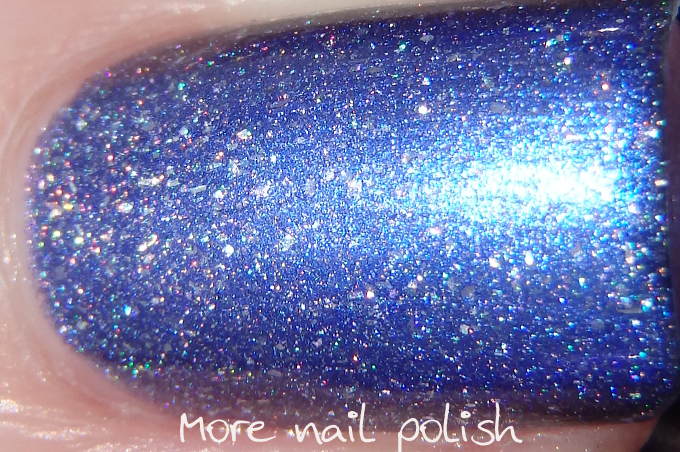 The macro certainly shows the holo flecks well. This one is a re-release of Ozotic 607. Comparison of original style Ozoitc Pro 607 (actually that's not entirely correct, because there was another shape before this that was available in around Y2K) Square Ozotic 607 and PP Grace. I have already shared swatches of Picture Polish Pandora during blog fest, but here it is one more time before the comparison swatches. 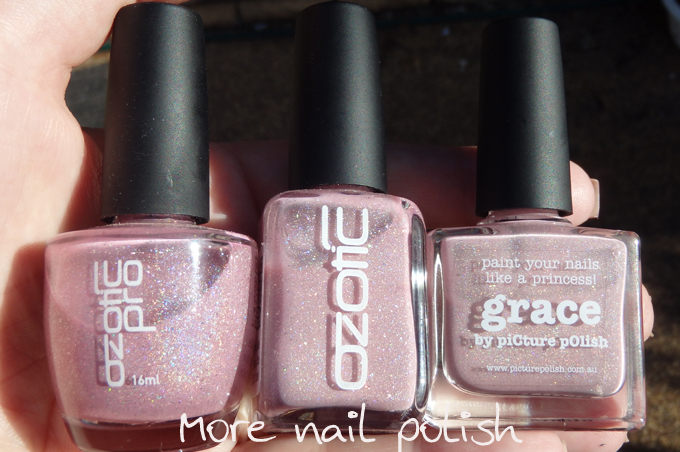 Comparison with Ozotic pro round, Ozotic square and Picture Polish pandora. These three shades = dupes. 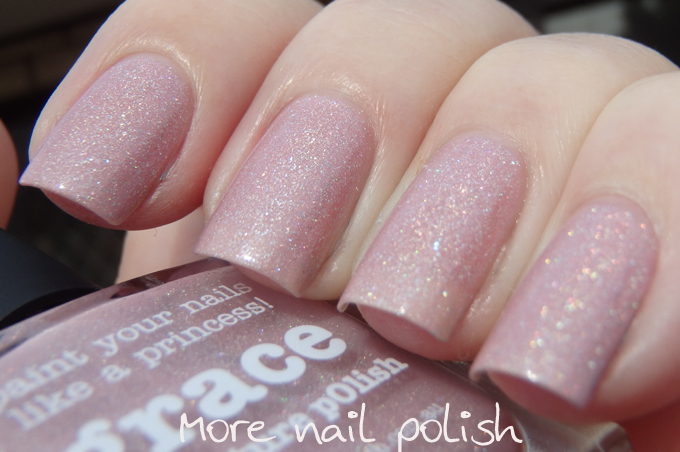 Last year, Picture Polish became the exclusive creative license for Ozotic. 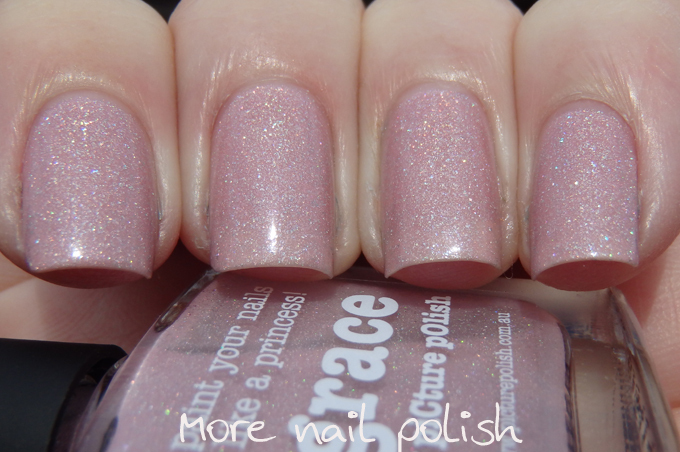 A few months later they decided to discontinue the Ozotic brand and soley focus on the Picture Polish brand. This has also allowed them to re-release discontinued Ozotic shades as Picture Polishes. 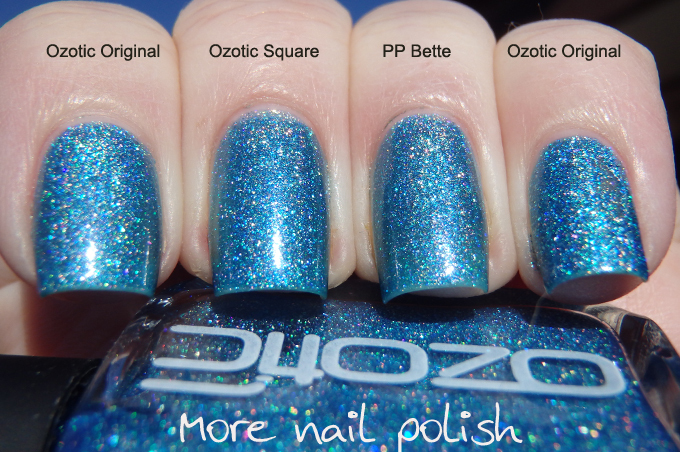 When did Ozotic become picture polish? Last year, Picture Polish became the exclusive creative license for Ozotic and a few months later they decided to discontinue the Ozotic brand. 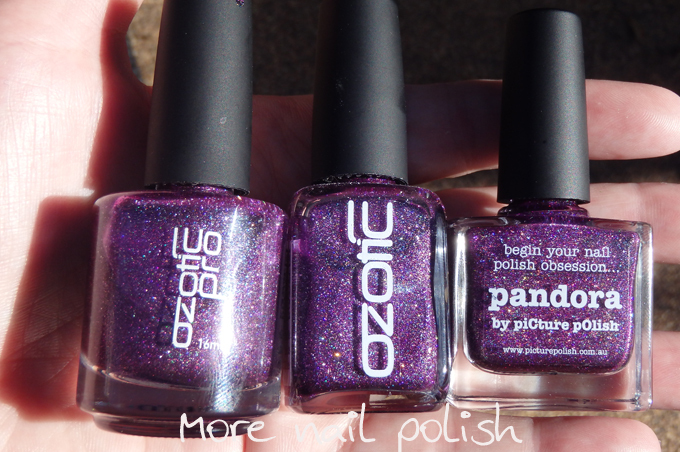 I have a range of Ozotics that were around before Picture Polish existed. I know they were all made at the same lab.